Are We Done Making Improvements? I had a client recently that was involved in vehicle telematics. They had just celebrated 20 years in the business and had done well developing an outstanding operating system . They had also developed the subscription model for their software so they had a good stable source of income – as long as the hardware that carried their software performed. If not, they faced “performance clauses” with their customers for any software downtime. If their system was down, they paid money back to their customers in the form of fines. But then there was hardware. I was brought in as a mechanical engineer to review their hardware and help improve its reliability. The client had become what many refer to as a “virtual” hardware company. Hardware was built by assembly houses using primarily components from domestic and offshore suppliers. There had been virtually no mechanical oversight of suppliers and it showed. Tolerances were out, if they were even monitored. Workmanship for electronic boards and cables was poor. So, I rolled up my sleeves and went to work. The point of this post is not to belabor the QC process but to discuss a question that still troubles me today. I collected myself and began an explanation of how new enhancements come to light as more time is spent with a particular product but I don’t think he was buying it. The client did not appear to be familiar with Kaizen, Japanese for “Good Change.” The main philosophy of Kaizen is that improvement of a product or process never stops. We can always build a product better, faster, simpler and, in the client’s case, more reliable. I came across an article by Fast Company Design recently that you might find interesting. 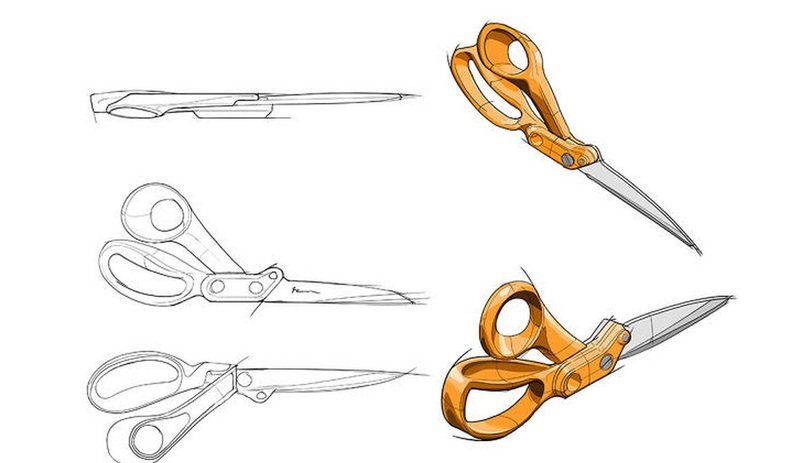 It’s about the company Fiskars – the company with the orange handle scissors. The article discusses Fiskar’s ongoing goal to improve their scissors – for 48 years. Great read.